Grab this 6 Pack Of Vacuum Storage Bags for ONLY $1.04 with code from gleam at bottom of blog post. Must have AMAZON Prime to get free shipping. you should have extra space for your Seasonal Clothing, Extra Blankets, Pillows, Patio Cushions and any Soft-goods you can think of. 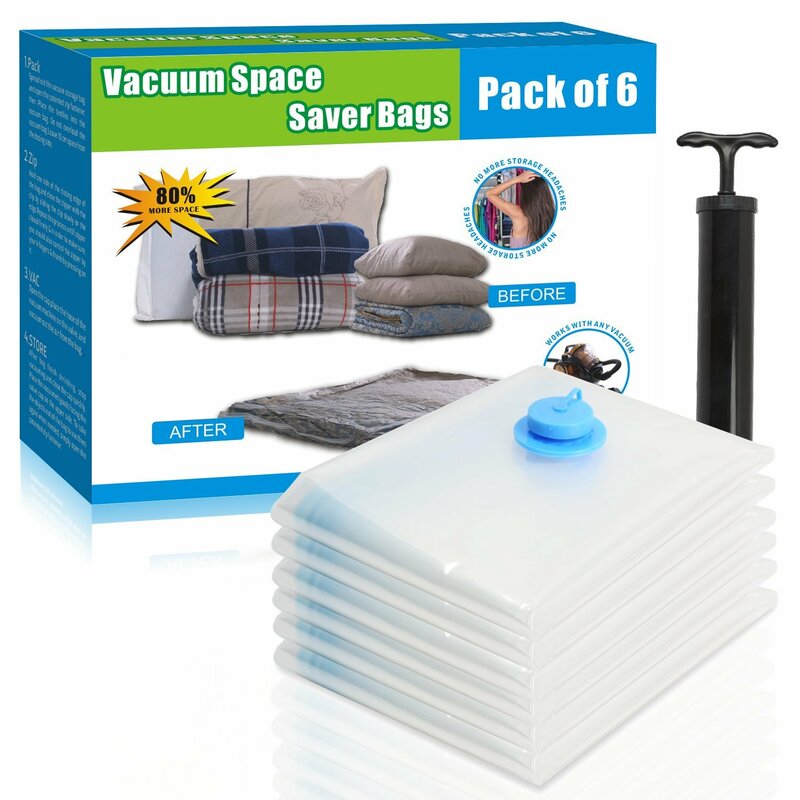 Our Vacuum Storage Bags will solve your problems. up to 80% space will be saved, make your travel and life more convenient. a. Keep out of reach of children. b. Do not blend or crease the zipper to prevent breakage. c. Do not store food, liquids, leather or damp or sharp objects. d. Do not store the bag near sharp objects. e. If being stored for a long period of time, you must check regularly, zipper is sturdy but breakable. f. To ensure better sealing performance, please slide the zipper across the bag 2-3 times and use your hand to press the sealing line. After, vaccum out the air, then tighten the cap and make sure the rubber stopper is fitted.